Three Bars Guest and Cattle Ranch. 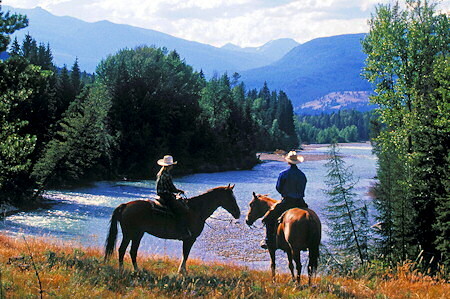 Western Guest Ranch Vacations in Canada's Rocky Mountains, near Kimberley & Cranbrook, BC. 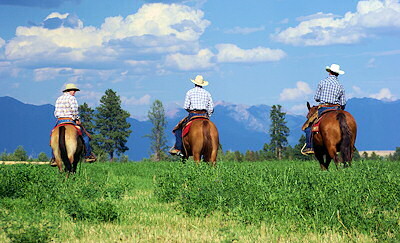 Three Bars Guest and Cattle Ranch, near Kimberley and Cranbrook, is located on thirty five thousand spectacular acres in the heart of the Canada's Rocky Mountains, between Banff and Glacier National Park. At Three Bars Cattle & Guest Ranch we offer the invigorating lifestyle of a working British Columbia cattle ranch and reining horse training facilities - with exceptional lodgings and the cuisine of a world-class resort. 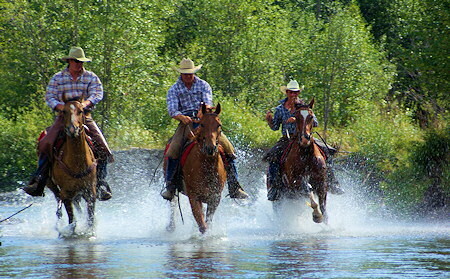 Three Bars Guest and Cattle Ranch is where you can go horseback riding to your heart's content, explore trails through the woods, crisscross the plateau or wander along a riverbank. How you spend your day is up to you --- but no matter what you choose, you'll have the time of your life. 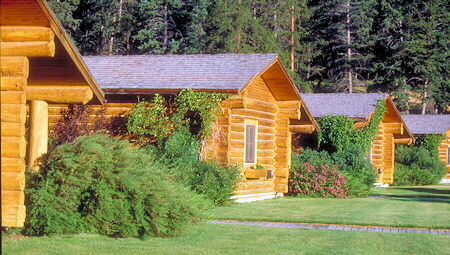 with private cabins arranged around a large manicured lawn. It's the perfect place to leave the trail dust behind and enjoy this first class resort. 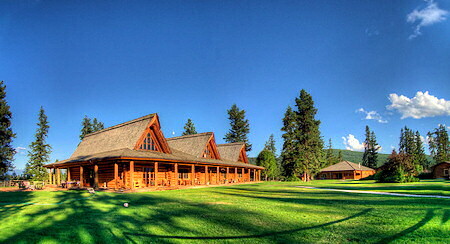 The spectacular log lodge building houses the dining room, saloon and recreation lounge. This is where our guests come to relax before dinner and share stories of the day's exploits. Whether it's sipping ice tea on the porch taking in a Bocci Ball game on the lawn, or talking about the one that got away in the saloon, Three Bars Lodge is a terrific place to relax and converse. or try 18 holes at one of the local golf courses. Why not play Bocce Ball or Volleyball on our huge lawn, or jump in our pool for a refreshing dip before dinner. There's also a special Ranch Kid's Program is designed for children from 7 to 12 years of age and focuses on horses and the overall outdoor experience. There are facilities for little guys at the ranch as well including a petting zoo, pool, kids play area and fort are all available to parents to spend time with their kids. During the late fall, winter and early spring, Three Bars is converted into a meeting center available for conferences, day meetings, weddings and groups. We offer exclusive use of all ranch facilities and provide a very unique and refreshing atmosphere conducive to a fresh outlook on problems. At Three Bars we'll be happy to help you put together a unique program for your free time as well. the Rocky Mountains of British Columbia near both Kimberley and Cranbrook. 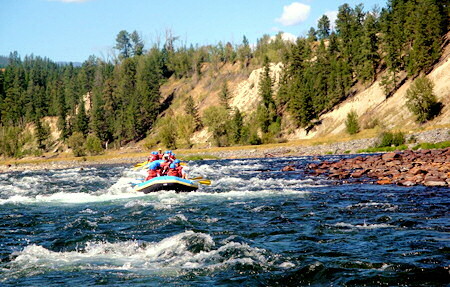 With an abundance of nature, clean fast moving water, green fields and breathtaking mountain vistas our family invites you to come join us in the beautiful Canadian Rockies for the adventure of a lifetime at Three Bars Guest and Cattle Ranch.